Eber, my great-great-grandfather, was a farmer, which means that the 1860 and 1870 agricultural schedules can shed some light on how Eber made his living before and after the Civil War. In 1860, Eber primarily raised Indian corn, oats, and wheat. He didn’t have much livestock: 2 horses, 2 cows, 4 sheep and 11 swine. Compared to his immediate neighbors1)Compared to 3 households on either side of him in the agriculture census., he was just about average. By 1870, things had changed. He had more cattle (7 heads of “other”), more sheep (up to 18), and a brand new crop: $150 worth of orchard goods. His value of “homemade manufacturers” went up as well; it was $10 in 1860, but $70 in 1870. Could this shift toward more reliance on livestock and homemade products be a result of being disabled in the war? Were orchard goods grown because they would be easier — less physically demanding — to raise year after year? Eber Johnson died January 25 18942)Per his Civil War pension file. 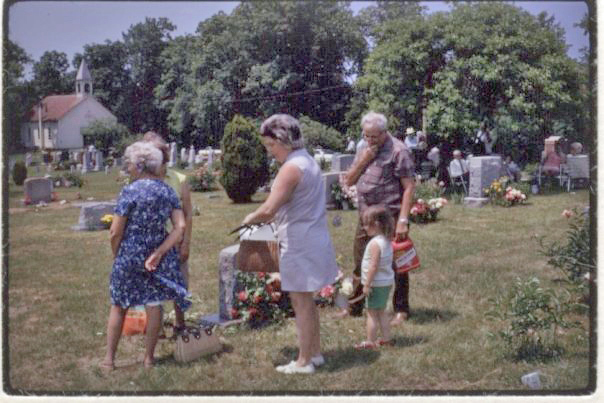 and is buried in Locust Grove Cemetery in Lawrence County, Ohio3)FindAGrave memorial. Also have personally visited his grave. 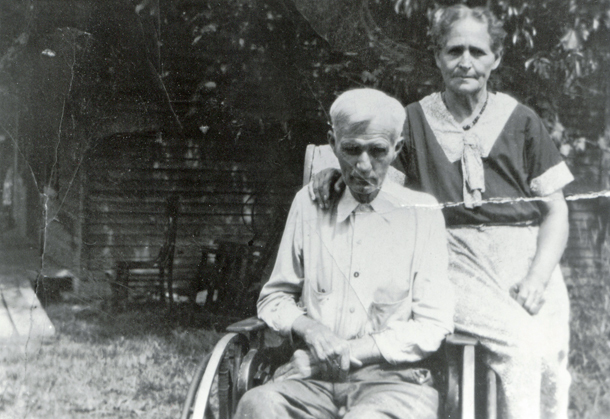 You can read more about his experiences in the Civil War here. Part of the header of the left-hand page of the 1860 agriculture schedule. 1. 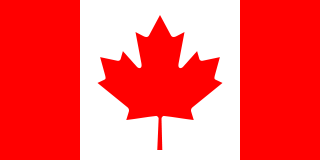 ↑ Compared to 3 households on either side of him in the agriculture census. 2. 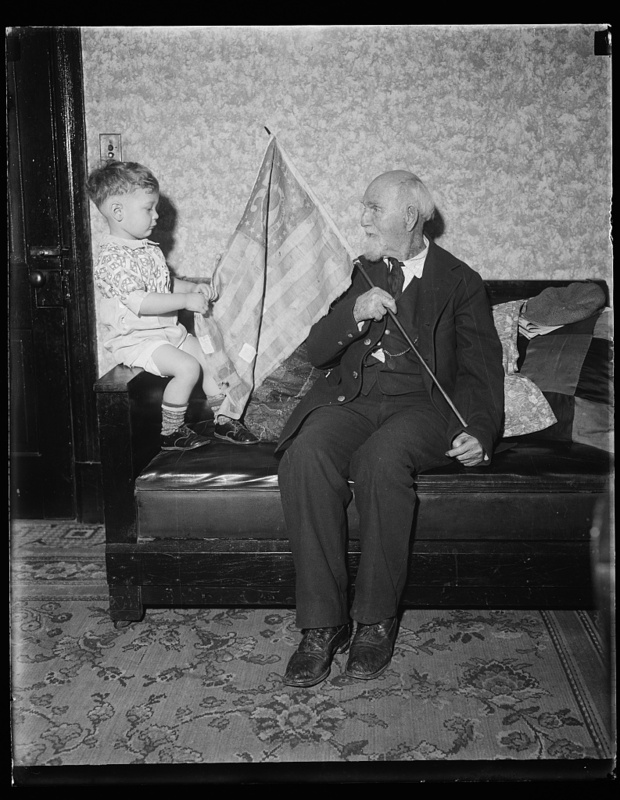 ↑ Per his Civil War pension file. 3. ↑ FindAGrave memorial. Also have personally visited his grave. John Johnson. Yes, my 3rd-great grandfather’s name was John Johnson. Genealogical Extracts from Naturalization Records of Morgan County, Ohio, (n.p. : Morgan County Genealogical Society, 1981), p. 23. John Johnson household, 1850 federal census (population), Bloom Township, Morgan County, Ohio, page 102B. John Johnson tombstone, Mt. Zion Cemetery, Bristol Township, Morgan County, Ohio. 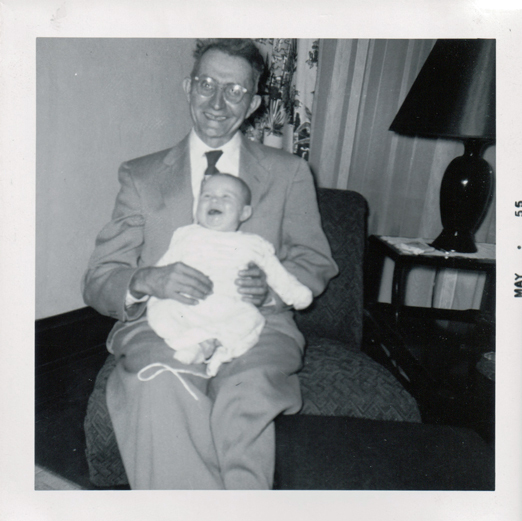 It seems appropriate to begin the 52 Ancestors in 52 Weeks challenge with the ancestor who first got me into genealogy: my paternal grandmother Adah Young Johnson. 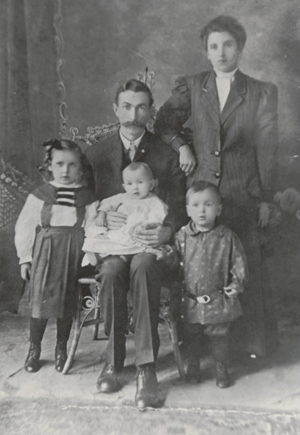 The Young family, 1909. 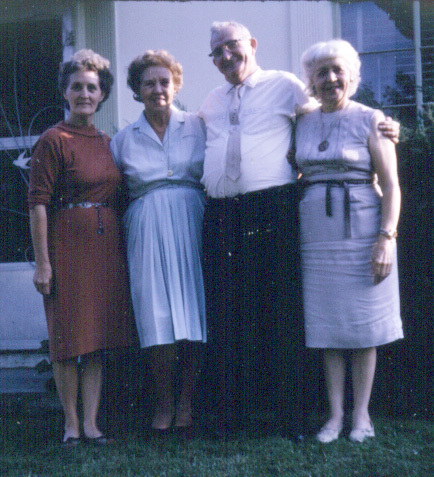 L-R: Adah, Robert (holding Harold), Clara, and Ralph. 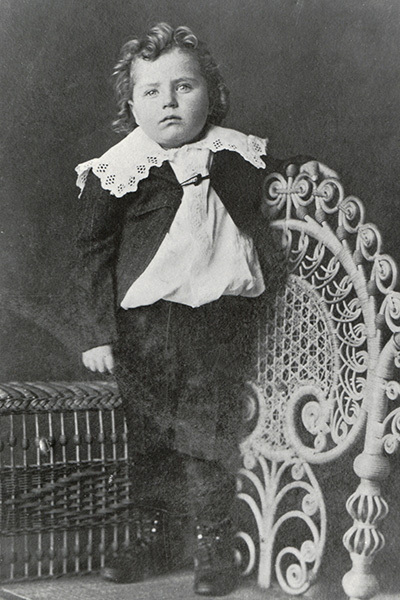 Grandma was born in Reynolds Store, Virginia in 1904, the oldest child of Robert and Clara (Mason) Young. The family moved back to Washington County, Ohio (Robert’s birthplace) sometime before Grandma’s brother Ralph was born in 1907. 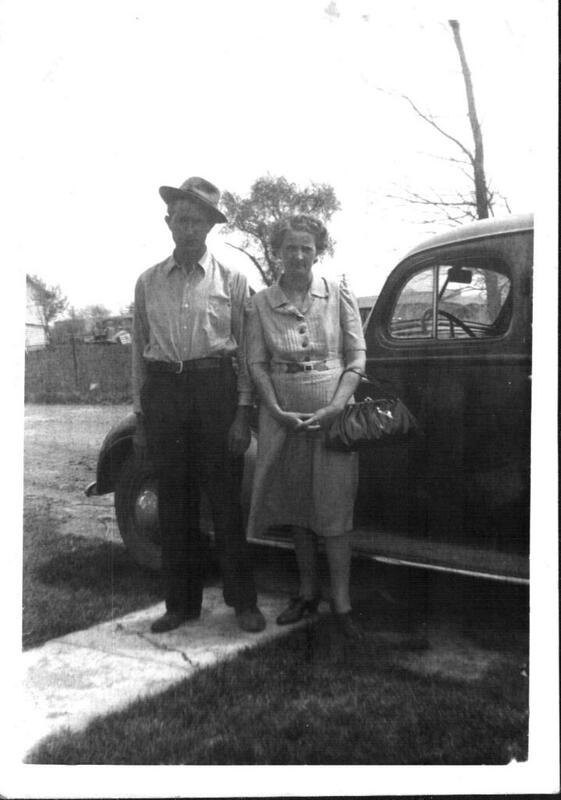 Grandma married Stanley Johnson (my Grandpa) 24 June 1922 in Ross County, Ohio. They were married 49 years (until Grandpa’s death in 1971). 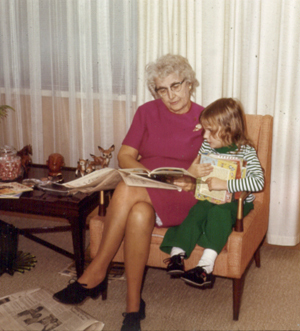 Grandma reading to me, 1970. I have no doubt that she read to me all of the books that I was holding. Though she probably wouldn’t have called herself one, she was a family historian. She was the keeper of the family Bible, the family photos, and the family stories. I remember going to her house shortly after “Roots” had aired on tv. She pulled out the family Bible and explained to me who all of the people listed on the yellowing pages were. 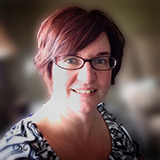 Not only did she keep the family photos…. She labelled them. Her descendants are still thankful! She also did a series of cassette tapes where she told stories from time she was a little girl until the time she met Grandpa. Yes, she recorded her memoirs! (See, I told you she was an awesome grandma!) Included in there was her recollection of the Flood of 1913 that swept away her house in Marietta, Ohio… and how she once locked her grandfather Mason’s second wife in the outhouse. Grandma died 22 December 1979. It was ironic that she died then, as Christmas was her favorite time of year. 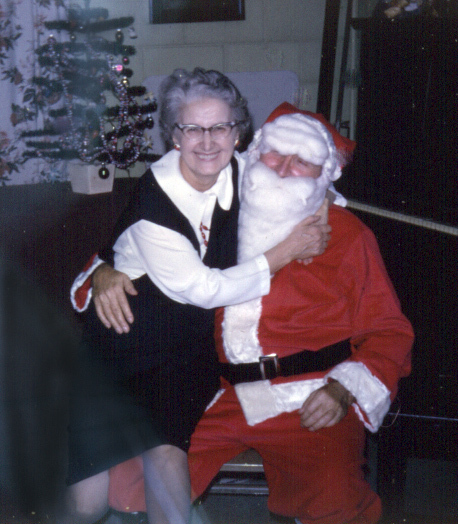 She loved to decorate and cook and make presents for all of the grandkids. All of us went to her house on Christmas evening. How all of the cousins, aunts, and uncles fit into that tiny house, I’ll never know. Grandma was a dear, sweet lady. She nurtured all 14 of us grandkids with her love and kindness. I shall always be thankful for all that she was and for inspiring me to climb our family tree. Grandma, I miss you and I love you. 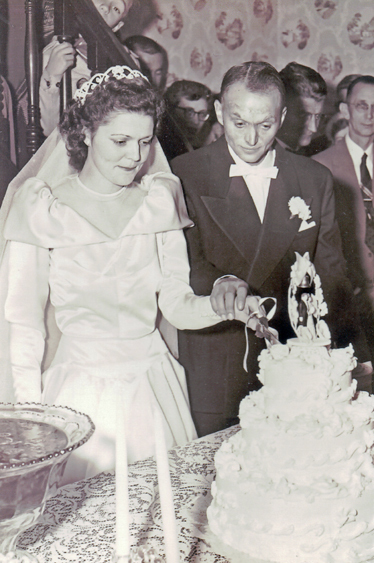 Gerald and Claudene (Ramsey) Johnson, cutting their wedding cake, 6 Nov 1953. It was a Friday afternoon and Grandma Johnson was giving my Mom’s wedding dress one final ironing. She glided the iron quickly and carefully across the antique white satin, careful not to scorch it. Having made the dress herself, she knew every inch of it, including the more than 30 buttons down the back that she had covered in the same fabric as the dress. “Look outside!” she called to Mom. Mom turned to the window and saw that it was snowing. November 6 is early to have snow in central Ohio, but there it was. The year was 1953 and it was the day that my parents got married. Happy 60th anniversary, Mom and Dad! 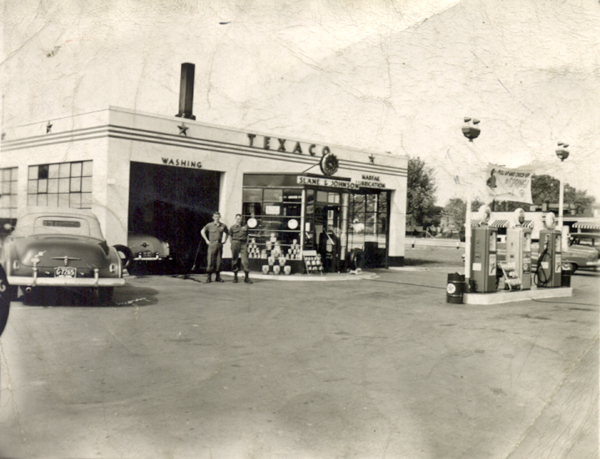 This past Labor Day weekend, I posted onto Facebook one of my favorite photos of Slane and Johnson Texaco. (There’s a version of this photo in the NSTS banner.) I commented that I’d love to have the car on the left. Slane and Johnson Texaco, Columbus, Ohio. Circa 1952. Really?! This was the car that Dad had while courting Mom and I’m just now finding this out?! Of course, I couldn’t let this story just stop there, so I called Dad to ask him more about it. Dad loved this Chevy. “I loved that car so much, I carried a picture of it in my billfold for years.” That’s when it clicked. This was the car in the photo that we teased Dad about. See, for a long time, Dad didn’t carry photos of any people in his billfold, but he did have a photo of a car. This car. The blue 1950 Chevy Bel Air convertible. The car he courted Mom in. The car he sold for a new 1953 Mercury hardtop after they got married. The car that I really want now.